Fornite for Android will hit phones in the very near future, but the way developer Epic Games has chosen to deliver it may leave some gamers vulnerable to security attacks. As Google takes a 30% cut of all sales made through its Google Play app store, Epic has decided to take advantage of the open-source nature of the mobile operating system, and will be releasing it independently of the Google Play store. Now, scammers are taking advantage of the situation to dupe players into accepting dodgy downloads, according to GameRant. The Google Play store comes with all manner of built-in security methods, designed to protect gamers through only offering validated downloads. But Android does also allow for users to download from third-party sources, providing they're willing to lower their phone's defences in order to do so. Accepting downloads from third-party sources also allows for nefarious developers to attack a phone, and now scammers are taking advantage of the fact through posting believable fake adverts claiming to offer a legitimate Fortnite Android APK download. Some of the YouTube videos promoting these downloads have been viewed a few hundred thousand times already, suggesting that players are struggling to see the difference between Epic's own marketing and that of the potential attackers. Epic has already suggested its users beware of similar scams, but there's no way for them to personally police every third-party download in the same way the Google Play store does. Users should be vigilant, should they not want their handsets to be installed with malware. 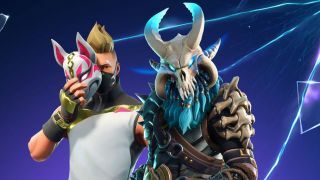 Fortnite is already available for PC, Xbox One, Nintendo Switch PS4 and iOS devices, with an official download from Epic Games website for Android devices expected in the coming weeks.